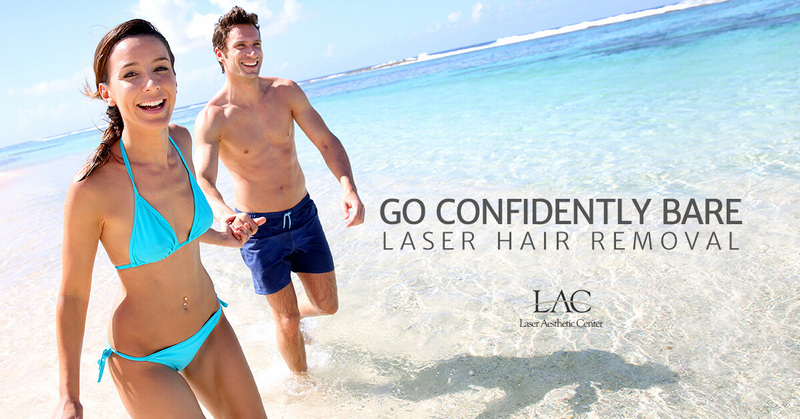 Schedule a Complimentary Laser Hair Removal Consultation. *Must be of lesser value. Offers cannnot be combined. Reduce the need for daily shaving, saving time and energy. Reduces razor burns, ingrown hairs, cuts, bumps and blisters that can occur with waxing, plucking and shaving. Avoid the pain and repetition of other hair removal methods. Basic Bikini (this includes the inner sides of the thigh that are in line with your underwear). Extended bikini (this includes basic bikini plus full front of the bikini area, leaving a landing strip). Brazilian Bikini (this includes basic bikini plus full front and back). Laser hair removal on the legs is extremely popular among women - and with good reason. Every week, millions of women shave their legs, losing a great deal of time and money. Now women are seeing the benefits of laser hair removal leg treatments, which allow women to enjoy silky smooth skin on their legs without the pain of shaving or the sheer agony of waxing. Excessive hair growth on the arms is a very common problem for women, and it can cause a general feeling of unattractiveness and embarrassment about their appearance. Laser hair removal for the arms is becoming more and more popular. The arms are the most visible area on a women’s body. Dark hair on the arms can be very noticeable, especially if one has light skin. Underarm hair removal is one of the biggest contributors to personal hygiene and presentation. Nearly all women and some men remove armpit hair on a regular basis. Armpit hair removal should be done more regularly than that of the legs and hands, as armpit hair grows more quickly. Women may also remove armpit hair for fashion-related reasons, especially if they're accustomed to wearing sleeveless or cap-sleeved dresses.